We’re all about sharing the love here at Lovestruck towers so you may be pleased to hear that we’ve teamed up with the perfect partner and joined the Stand Up To Cancer campaign. You can get involved simply by getting Lovestruck and donating as you dating! What? 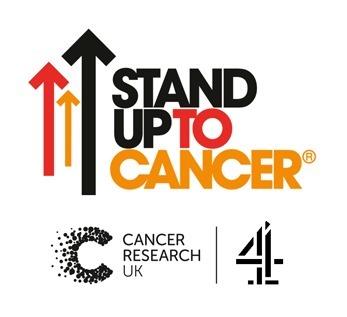 Stand Up To Cancer is an annual fundraising campaign brought to you by Cancer Research UK and Channel 4. Led by the brightest stars in film, TV and music, they’re calling on the kind-hearted people of the UK to help fundraise. How? With every 3, 6, or 12 month subscription taken, we’ll donate a crisp £10 note to Stand Up To Cancer. That’s not all. We’ll also throw in a free upgrade to Premium worth £30, so while you’re standing UP to cancer, your profile will be standing OUT too. A win win all round, non? 100% of your donation will be made to Cancer Research UK in support of the Stand Up To Cancer campaign and awarded as grants to fund cancer research that will benefit patients across the UK. Go on, do something heart-warmingly amazing this February! Stand Up To Cancer! Will you be Standing Up To Cancer? You’re awesome.